Tom Graham, pictured here with his Year 9 horticulture class, retires today after 30 years at Paraparaumu College. Tom has given so much to the school through his time here. 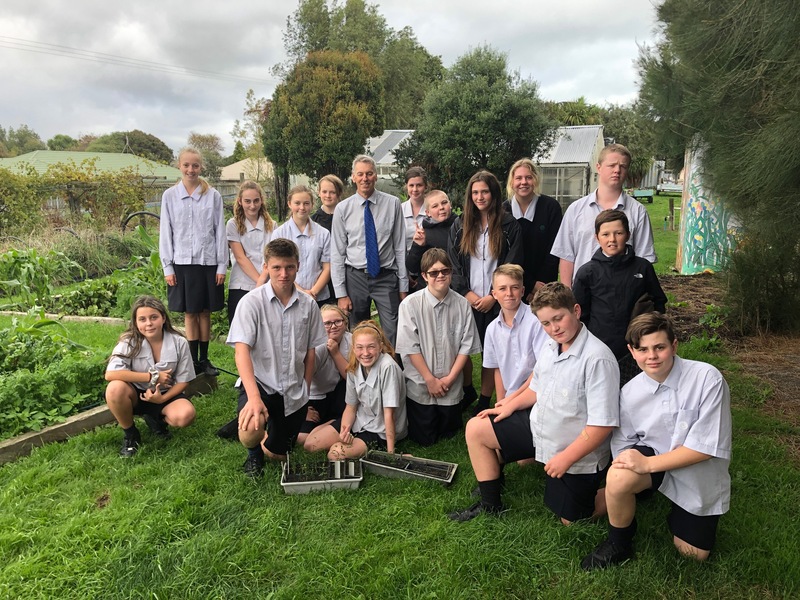 As the sole horticulture teacher he has developed special bonds with students as the have studied his subject over the years, many choosing to following this field of study further at a tertiary level. Tom has also given much to sport over the years, helping teams as they go to tournaments and always officiating at high jump at any athletics meet. Tom is also a talented trombonist and has supported music programmes at the school from the Music Roadshow days through to the most recent performance by the Amadeus Orchestra in assemblies. Thanks for everything Tom, you have served our community incredibly well over the last 30 years. All the best for your retirement.